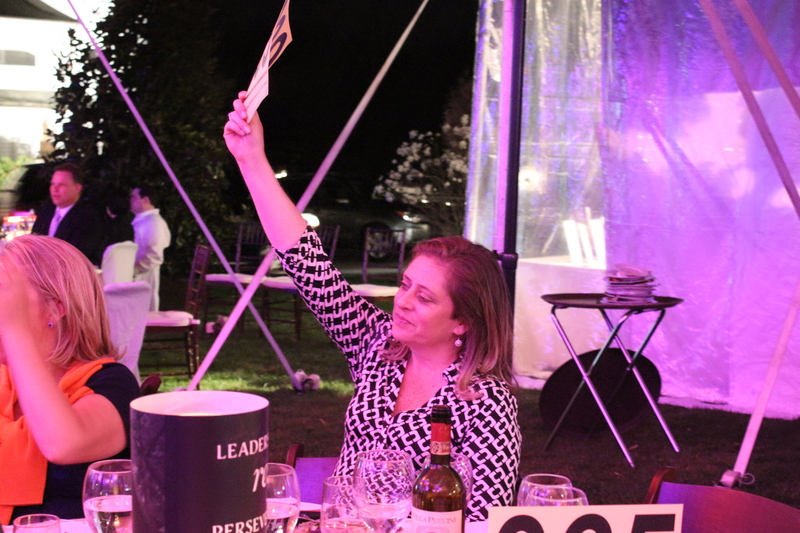 After many months of planning by many parents, board members, and faculty, Trinity Hall’s Inaugural Gala brought more than 700 supporters of the school together under an expansive and impressive tent in the front yard of co-founders Victoria and Justin Gmelich in Rumson on April 18. The Gala kicked off the public phase of the capital campaign for the construction of the permanent campus on Chapel Hill Road in Middletown and to raised awareness for the school. Money was raised through ticket sales, donations and auction items, which included a speaking role in the sequel to John Wick; membership at the Yellowstone Club in Wyoming; a triathlon package complete with training; one-week stays at the Whiteface Lodge, the Adirondack Mountains, Mantaloking, and Lake Placid; and much more. In addition to many Trinity Hall parents, the attendee list also included U.S. Senator Cory Booker (NJ), Jersey City mayor Steve Fulop, Villanova University President Fr. Peter Donohue, and Max Weinberg, the famed drummer from Bruce Springsteen’s E Street Band. Super Diamond, a Neil Diamond tribute band based in Las Vegas, provided the entertainment after dinner, the live auction, and a presentation by the guest speaker, filmmaker/photographer Lauren Greenfield, who is most recently famous for her commercial that aired in this past Super Bowl, “Like A Girl.” Greenfield also spoke as part of the school’s “Women in Leadership Series” in a public event held at CBA the following day.